Leo Bottary, author of What Anyone Can Do, has provided a 9 step People Plan for individuals wanting to achieve their goals in life. "What Anyone Can Do is engaging, enjoyable, and just plain fun to read. With the well-honed skills of a master storyteller, Leo Bottary shares delightful tales and practical takeaways from scores of engaging conversations with fascinating people around the central theme of supporting and learning from each other. His style is over-a-cup-of-coffee casual, but the lessons he conveys are vital to your success in work and in life. I found it immensely valuable, and you will, too." To pre-order What Anyone Can Do, click here! Order your copy of What Anyone Can Do today and start achieving your goals! It's what anyone can do! Watch this trailer for What Anyone Can Do by Leo Bottary! Leo Bottary is an author, keynote speaker, and workshop facilitator on the topic of developing "peer advantage" for high performing teams and peer groups. Leo also serves as an instructor for Rutgers and Northeastern universities. Leo also holds weekly What Anyone Can Do podcasts featuring special guests. To listen and subscribe click here! For more information and to order What Anyone Can Do, click here! "Leo makes a clear case for something many people understand intuitively, but don't always practice. You will do better in life and be more successful if you don't try and do it alone. His anecdotes, advice and wisdom are worth the read." "Our wealth is in our brains and our networks, but few of us know how to tapthe second. Leo’s new book advances the narrative of his previous excellent book, The Power of Peers, by embracing the full range of people who surround us. He makes a powerful case that our happiness and success can be found among those who we invite into our circle. Enlisting the support of others to help us realize our dreams is something anyone can do. This fine book shows you how." "I must say…Leo Bottary's new book, What Anyone Can Do, is one full of golden wisdom preserved for us and the generations to come. The book is right on target when explaining why some individuals make quantum leaps in their life while others are just scared to leap. It breaks down why surrounding yourself with the right people is not only important but a gift that you MUST unwrap. Make a decision and read this book because that is definitely a great action step that Any One Can Do! Keep bringing the fire Leo!" "Leo has brought clarity and inspiration to the subject of connection within corporate structures. There has never been a more imperative time than today for us to become proactive around the necessity of teams built with healthy bones, empathy, trust, and resilience. This is elaborated upon by way of interviews and real-life scenarios that will help managers and senior executives take brave steps forward to further bring connection to their teams. I see myself sharing this book throughout our agency." "There is no one more qualified than Leo to bring the world a little closer together. This book is a must read for everyone who wants to acquire the ninja skills needed to build a bulletproof network in business and life." "Leo drives home, with overwhelming evidence, how anything can be accomplished with a vision and a group of people to support you along that journey. I’m reminded of the poet John Dunn’s famous words: no person is an island unto themselves." Those who pretend to be island need to wake up, read this book and start to harness the power of diverse expertise and accountability that peer boards maximize. You can do anything and peers are a crucial ingredient to success." "How often have you thought of yourself as ‘the only one’ who is experiencing both the good and the bad? How often have you suddenly found comfort, solace and a new lease on life by looking around at the people who surround you? We have made choices about those with whom we work, play, socialize and love. Leo Bottary’s book, What Anyone Can Do is a comforting hand, a pat on the shoulder and an absolute command that we pay attention to those that surround us and step out of our isolationism. It is a reminder of Mick Jagger’s comment, ‘You can't always get what you want, but if you try sometimes, you might find, you get what you need.’"
"People look for answers to life's problems in the self-help aisle, but they should grab this book instead. Leo's take on teamwork stands out. Whatever your personal and professional goals, he shares a simple truth: it's the people around you who will help you get there. Leo has laid out a step by step "people plan" for individuals and teams that shows exactly how leveraging and supporting a strategic network will get you through the worst of times and will lead to the best of times. An approachable and entertaining read, it's one that you will need to buy multiple copies of. One for you, and some for the friends who surround you." "Success requires discipline…and a village. In order to be successful in business, you have to do things that other people won’t do and do them continuously. 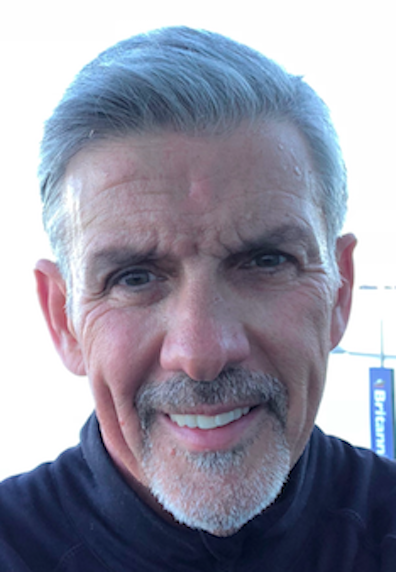 Leo’s book challenges readers to take a hard look at themselves to see what they’re willing to do to be disciplined enough to reach the next level." "Today, the smartest person in the room IS the room. Few people understand that more than Leo Bottary. 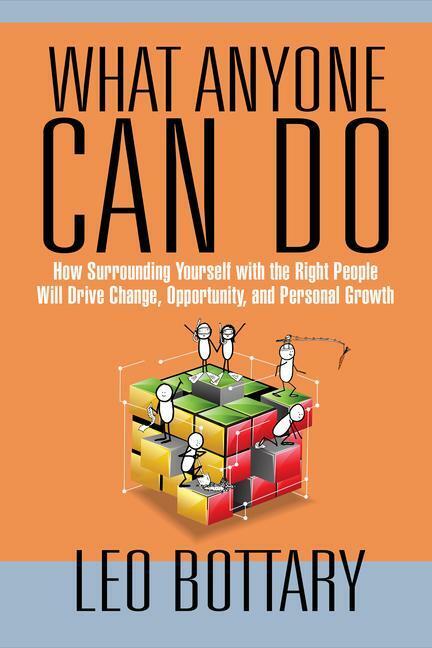 This book is your step by step guide to embracing the greatest untapped and most underutilized resource we have has individuals and organizations for reaching our goals; each other." "We each live a human life in which we impact and are impacted by others. Leo’s passion and this excellent book provide us the mindset and tools to live more fully." "What Anyone Can Do is a brilliant primer on what we can all do as leaders to surround ourselves with a strategic network of peers who will challenge our ideas, drive us to be more disciplined, and share in our success. For all of those committed to continuous self improvement, you will find that Leo has built a step by step guide to turn aspirations into actions." "While everyone around us is trying to build a career, a fortune, a reputation and so on, Leo Bottary is busy building people. In the end, it's all about people and no one knows that better than Leo. If you find yourself endlessly fascinating (as I find myself), you want to know how Leo sees it." "Human beings have formed communities of practice to address shared challenges since the beginning of history. They are at the heart of what makes us human. These learning partnerships among peers have been the key to our success as a species. And in very concrete and personal ways, Leo Bottary reminds us that they are how we create our future." "If you want to make better decisions in life, surround yourself with good people. It’s never too late. Leo’s in my circle. You’d be wise to add him to yours too."